Sprint in your own car, ‘Army’ Auto-test, static displays. In the dramatic setting of an operational MOD base, we’re running a ‘600-metre shoot-out’ sprint along one of the runways at MOD Leuchars Station (formerly RAF Leuchars). Multiple runs guaranteed (min of 5/car). Weather permitting, also an untimed high speed individual run along the full runway. Grouped with comparable cars, drivers will race against one another (2 cars side-by-side TBC). Multiple trophies available (i.e. for different car categories). Why 600m? It’s the initial limit of operational Army rifle shooting. Auto-test with an Army twist, access to iconic World War Two vehicles, including perhaps a chance to drive in an Willys Jeep, and other static displays. 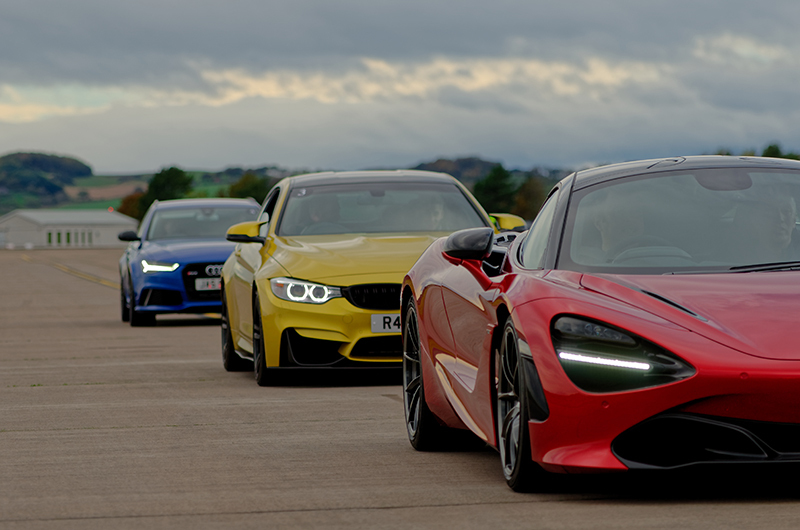 Drivers and VIP guests will have full access to the pits area, where some of the world’s fastest road cars are likely to be arrayed. Afterwards, drivers and their guest will be invited into the exclusive Officers Mess, to refuel with a BBQ/buffet dinner, including a guest speaker and prize-giving. Also includes a short auction of various ‘money can’t buy’ Army prizes. Bring your own car and a guest to Race the Runway. Contact 0131 310 5132 or scotland@soldierscharity.org for more details.